When was the last time you hired a babysitter? We do a lot at home (even some of our date nights) and we have family close by. For us having an actual babysitter is something that doesn’t happen very often. Of course that means that when we do need a sitter, I go into panic mode. There is so much to think about! Planner that I am, I wanted to make sure I covered everything. I talked to other parents, searched around the web and compiled a list of babysitter prep ideas that make me feel so much more prepared and organized. This post is sponsored by Bloomwell.com, an online legal family document company that makes it easy to protect your family. Once you’ve found a trustworthy babysitter this list will help you prepare for leaving the kids. Include your address (in case she needs to call 911), a medical consent form (found on Bloomwell.com) for each of your kids and a basic first aid kit in an easy to spot to reach. Creating a medical consent form for your kids is extremely easy with Bloomwell.com. It only took me about 15 minutes to fill out the online questionnaire and print out a personalized consent form. I was even offered the option to decide how long this particular caregiver would be authorized with medical consent. I love that! 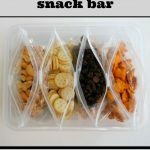 Meals & Snacks – What meal times will be happening while you’re gone? Make sure the sitter will have everything she needs to make meal time easy. Talk to her ahead of time about whether or not she will be eating with the kids. You can give her a couple of choices and then have the majority of the work done ahead of time. Pull a couple of snacks to one shelf. This will be an easy way for her to know what’s free game without digging through your cupboards. Prep the House – Walk around and put away things that are off limits. If you don’t want the kids building with their tools while the babysitter is there, have them put up out of sight. Are there any rooms the kids shouldn’t be in? Tape a sign to the door to let the babysitter know. House Rules – Make sure to let the kids and the babysitter know that she is in charge. In front of the kids tell her some of the really important rules: how much screen time, how you put the kids to bed, what the outside rules are, etc. Then privately tell her which rules are more flexible. This will give her an idea which things you find most important and which things she can have some freedom with. 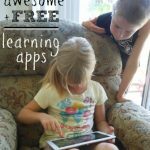 Schedule – Write out the kids’ schedule. What are some things that will happen while the babysitter is there? Put a star next to the things that need to happen at a certain time. Also include the time you plan to be home. Communication – Should the babysitter text or call if she needs something? What are good reasons to call? The level of communication you are comfortable with might depend on what you are doing. Let her know if it’s better to only contact you in an emergency or if simple questions are fine. It’s also a good idea to let her know when you will be contacting her. She’ll want to know if you will be texting when you’re heading home or calling to say good night to the kids. Extras – Leave a house key in case they decide to go for a walk and don’t forget directions for how to use the remotes. What would you add to the list? 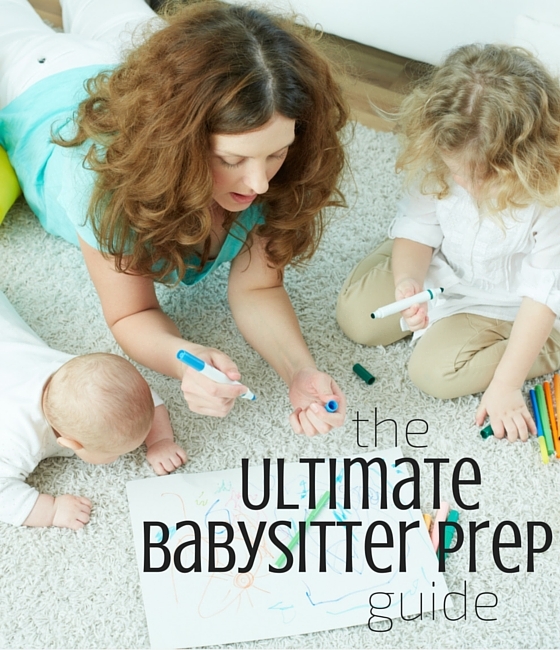 Leave tips for babysitter prep in the comments. Getting our family legal documents in order is something that’s been on my to-do list for longer than I would care to admit. The idea of it has felt so overwhelming… and so it moves from week to week. When I was approached to work with Bloomwell, I had no idea how much this partnership would affect this looming task. I signed up this morning and after spending only a half an hour I have a Will prepped and ready to be notarized. Turns out notarization is easy too; just go to your bank or look for one on-line, there are a lot of options! They have made the process unbelievably easy. Brief instructions are available as you make your way through the questionnaire. Their site also has telephone and live chat is you need help finding something. They offer a wide range of legal documents (each comes with instructions for what to do with your document depending on your state laws). Head over to Bloomwell.com and check out their individual document and annual plans. As a professional childminder who also does babysitting, all of the emergency stuff is already covered by me. As a member of Pacey (The Professional Association for Children and Early Years), I use their babysitting checklist which covers everything essential and also validates my public liability insurance. Great article! Most important for me is to have the meals planned in advance. This could be a pizza that will be delivered or a box of mac and cheese on the counter or peanut butter and jelly sandwiches (I know, shock horror to the healthy eaters but I didn’t know better back then). Show your sitter the dishes, silverware, cups, and snacks. Make note of any food allergies or intolerances your children may have. Show your sitter what she may or may not eat (“that casserole is for a potluck tomorrow, don’t eat it!”). Although this sounds like an exaggerated detail, it was always helpful for me to know what the kids could eat. Bonus when one mom always pre-made their lunches and left them in the fridge for me!